Scoop the dough one level tablespoon at a time onto the prepared baking sheet. 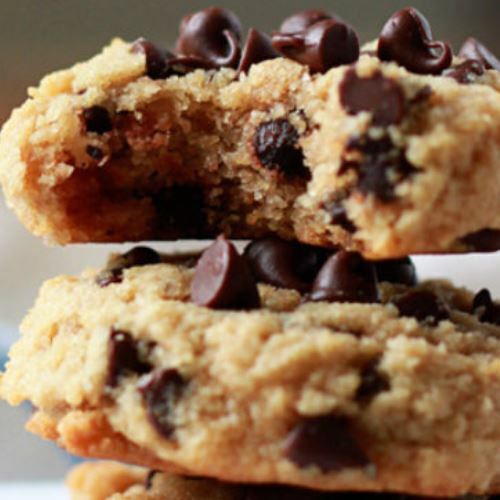 Almond flour is the secret ingredient in these crisp and tender chocolate chip cookies. For chewiest cookies, enjoy these warm from the oven. If you prefer them a bit crisp, wait until they’ve cooled before biting into one (or several). Store any remaining cookies at room temperature – a cookie jar keeps them handy!